In this conversation, we talk about how April Harter has built an anti-racism coaching program and how that work is becoming a movement. 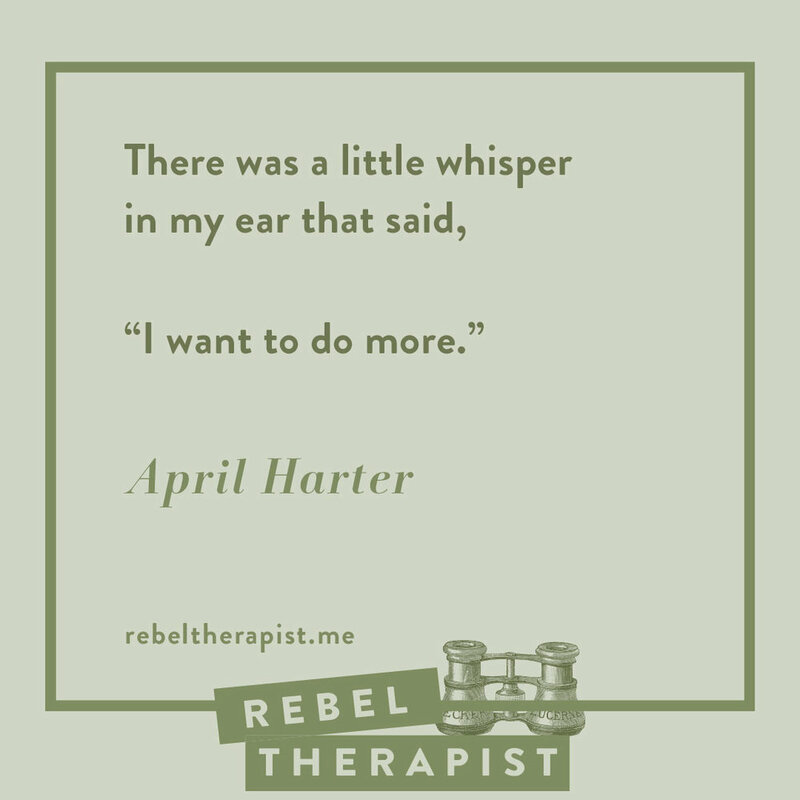 April is a true Rebel Therapist, leader, and innovator. You’ll hear one half of our conversation today, and the other half in part two.